- 18 carat gold filled on 925 sterling silver with cubic zirconia charms. 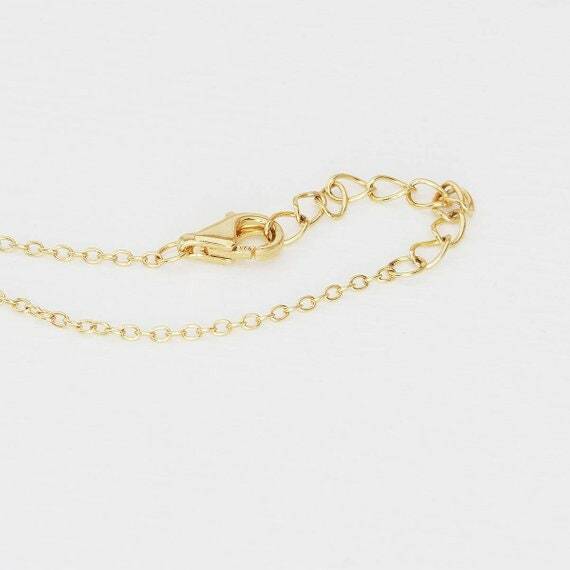 -Chain Length: 38cm + 3.5cm adjustable. -Charm Measurement: between 2mm and 5mm (depending on the charm). 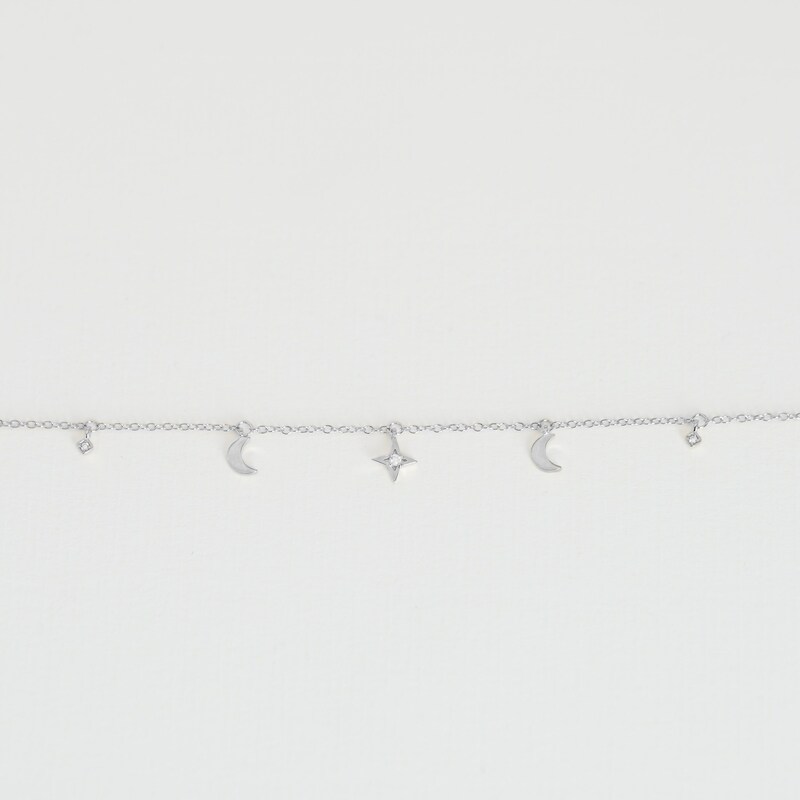 - This choker is designed by 3 tiny different charms which are along the chain. 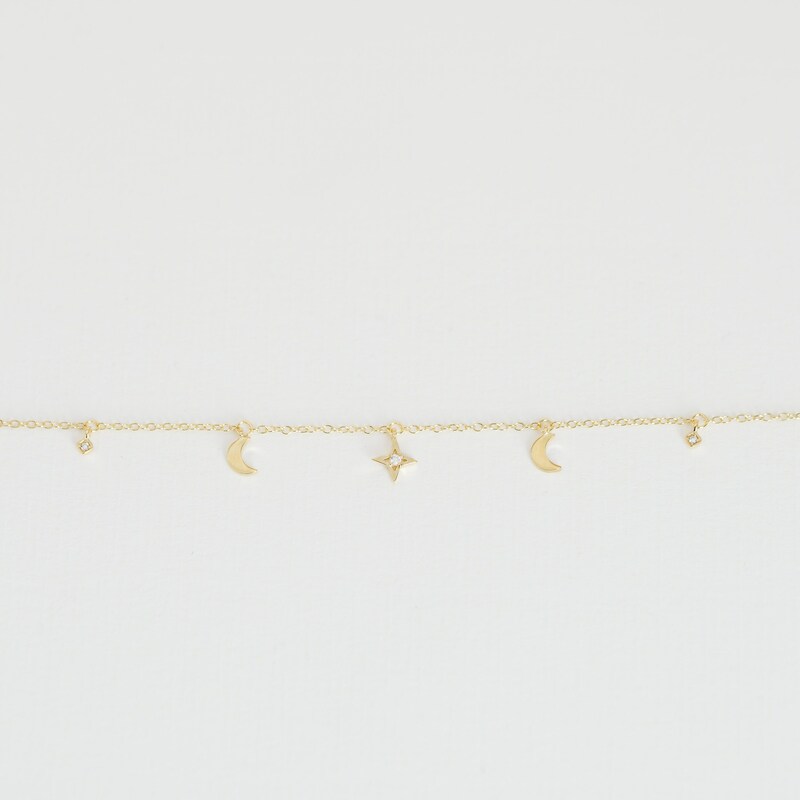 - 4 moons drops ( 5x3mm). - 3 Starbursts with cubic zirconia. (5x5mm). 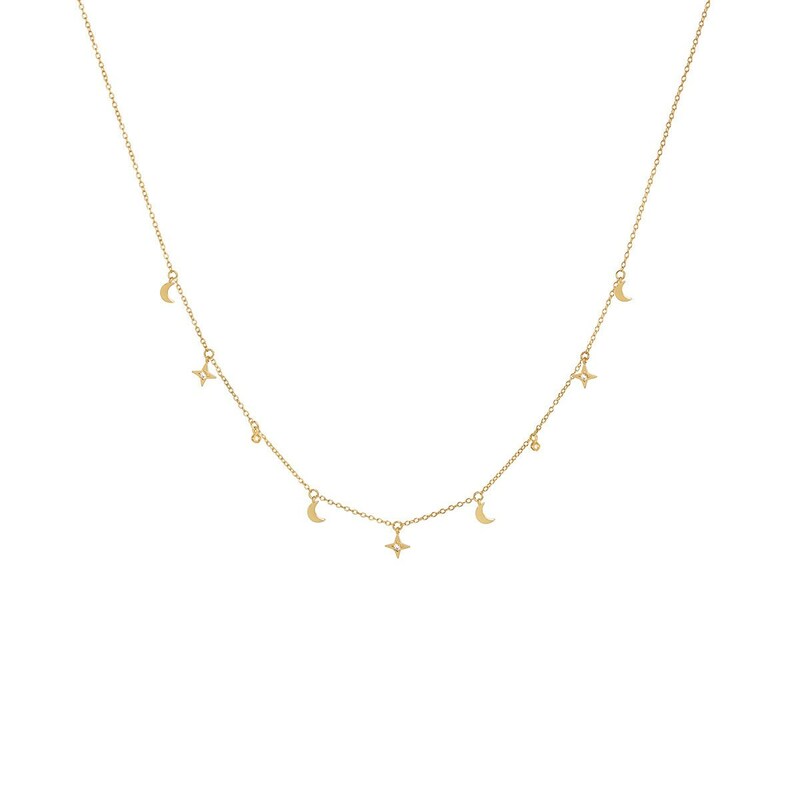 - Combine this charm choker inspired by the galaxy with other necklaces and create the lariat necklace effect.